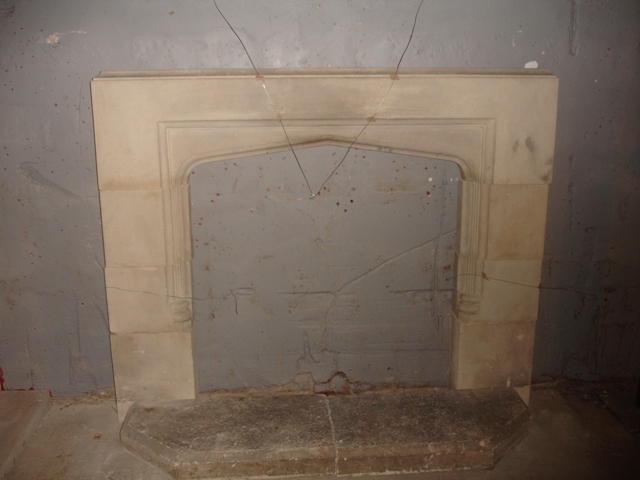 A weathered composition stone fireplace in the Tudor arch style with bordered aperture and stop chamfered lip moulding. Height: 114cm (45″), Width: 138cm (54.5″), Height of inner aperture: 81cm (32″), Width of inner aperture: 89cm (35″), Depth: 17cm (6.5″). 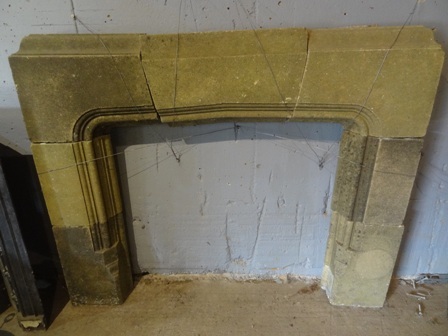 A limestone Tudor arch fireplace complete with shaped hearth. Early 20th Century. 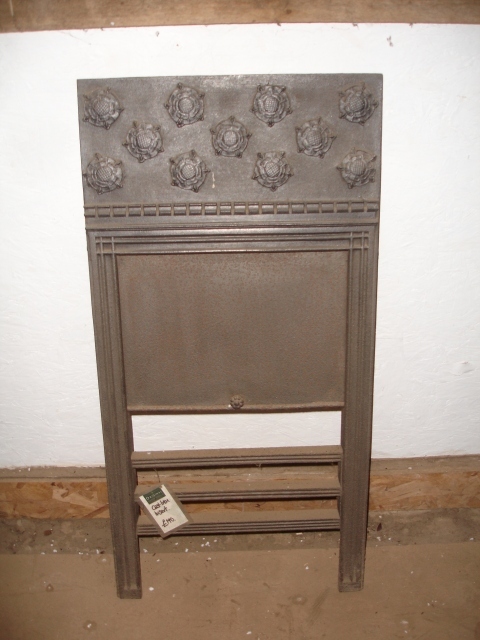 Height: 108cm (42.5″), Width of mantel: 137cm (54″), Height of inner aperture: 70cm (27.5″), Width of inner aperture: 81cm (32″), Depth of hearth: 46cm (18″). Height: 96cm (38″), Width: 96cm (38″). 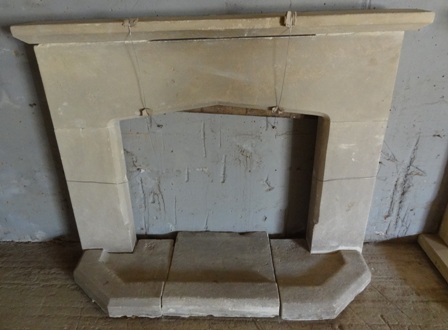 A Classic Tudor Arch Limestone fireplace with moulded aperture complete with hearth. 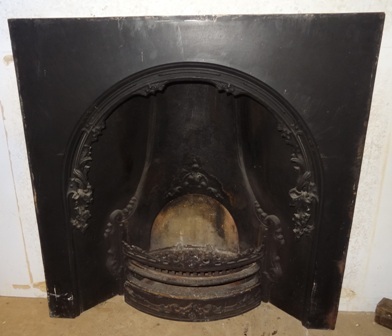 Width of mantel: 121cm (47.5″), Overall height: 102cm (40″), Height of inner aperture: 56cm (22″), Width of inner aperture: 47cm (18.5″), Depth of hearth: 50cm (19.5″). 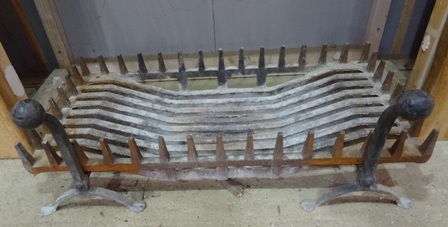 Cast Iron Fire insert. 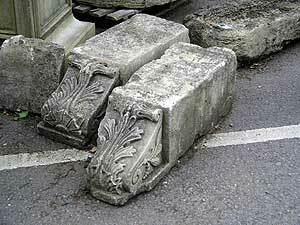 Dimensions: Height: 91cm Width: 46cm. 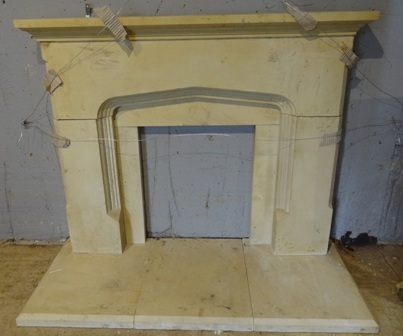 A classic Bath stone Tudor arched fireplace complete with hearth. Dimensions: Height; 124cm (49″), Width; 151cm (59.5″), Height of inner aperture; 93cm (36.5″), Width of inner aperture; 93cm (36.5″), Depth of hearth; 38cm (15″).